Sylvester was found as a stray. He was super skinny and scared when he was found. Once into a home, he warmed up quickly and did great. Unfortunately his finder could not keep him as her own. 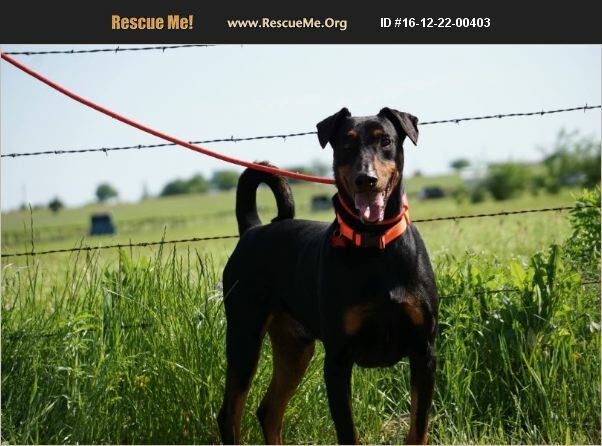 He is healthy now and waiting to join his very own family Update: Sylvester is a high energy young Doberman that needs some leash training and general manners. We think he would do well with some dogs with proper introductions -but not all . Once he goes for a good walk he likes to polio down and get his belly rubbed. Sylvester also has an adorable curled up tail !